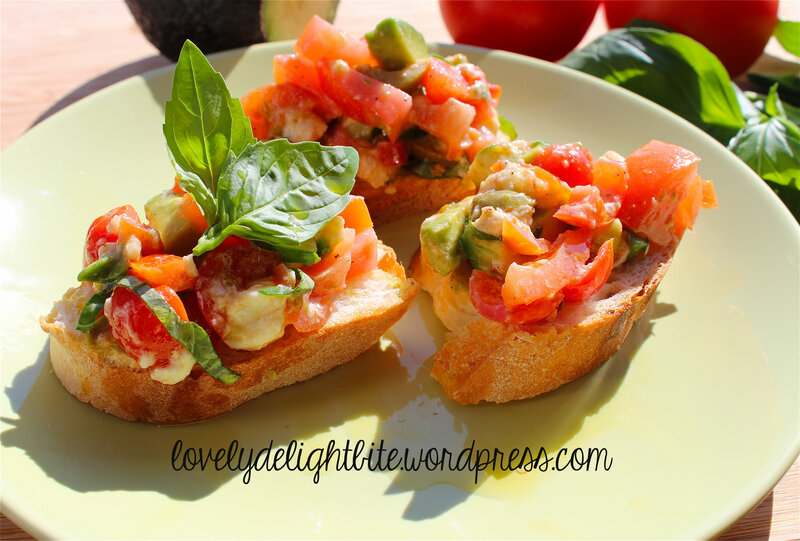 Cut small pieces of the Tomato, Avocado, Mozzarella, Olives and Garlic. Chopp the Basil. Mix everything in a bowl and marinate it with Olive Oil, Lime juice, Salt, Sugar and Pepper. Remove the seeds of the Chili and chop just a little piece, add it to the mix. Stir everything well and set it aside. Roast the Bread slices in the oven, then place the mixture on the roasted Bread and serve. 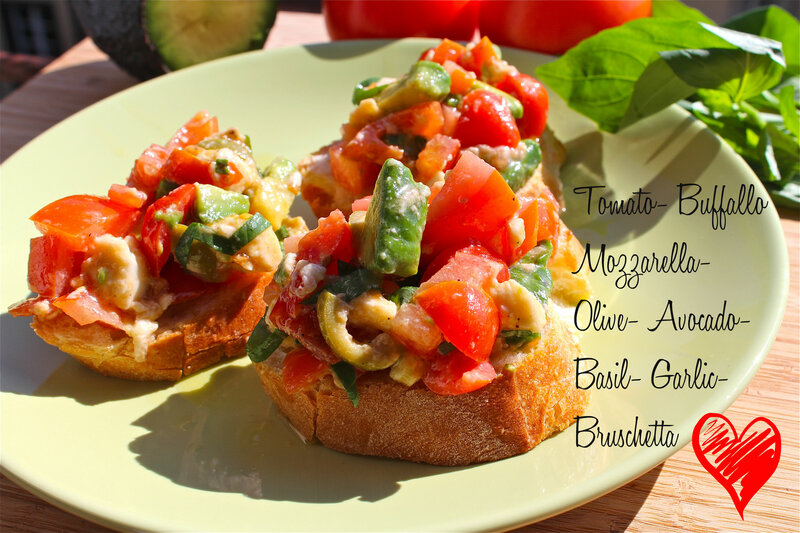 Tip: This Recipe tasts also great with Feta Cheese or Blue cheese instead of Mozzarella!